Affordable Vacation Rentals. Book Direct With Owners. No Booking Fee. 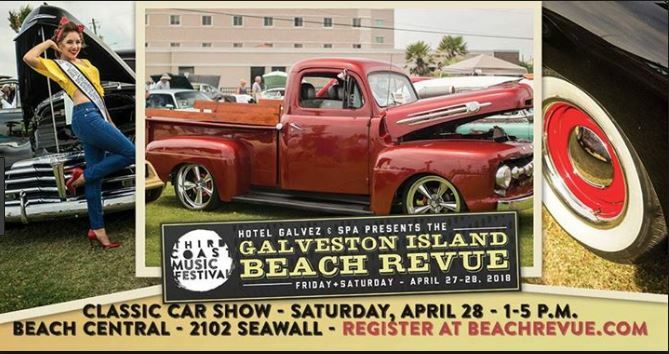 The 10th Annual Galveston Island Beach Revue 2018 is Saturday, April 28 from 5 – 8 p.m. held at Beach Central, 2102 Seawall Boulevard. 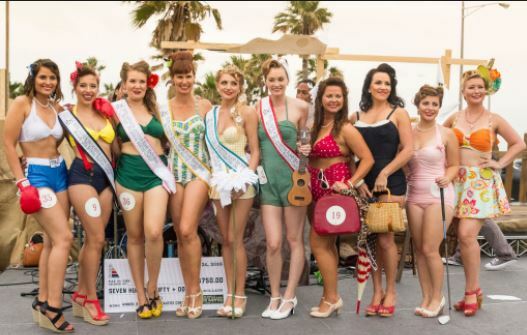 This popular Bathing Beauties Contest is where vintage past meets present day fun. Bathing beauty contestants from across the country will catwalk across Galveston’s historic shoreline modeling vintage inspired swim wear and accessories that echo the “good ole days” of Galveston’s summertime history. Click here for more information. The Beach Revue continues to grow each year and is officially the City of Galveston’s “Kick Off to Summer” event. The Galveston Island beauty contest began in the summer of 1920 and since then has been the kick off for tourist season each year. By 1928, the event had become so popular, the Island’s population was said to have tripled during the event weekend. These beauty contests are said to have been the beginning of what we know today as the Miss Universe Pageant. The famed Galveston Bathing Beauties contests ended in 1932 due in part to the Great Depression. The Galveston Island Beach Revue was resurrected into a contemporary two-day, family-friendly event in 2009. The Beach Revue isn’t just great competitors and vintage cars. It’s also stage to great vintage and vintage inspired music. Check out the lineup of artists for 2018 and dust off your dance shoes for an afternoon of great live music. The Beach Revue’s newest addition is the Hot Rod and Classic Car Show. This event is also on Saturday, April 28th between 1 – 5 p.m. Admission is free to view the cars and is part of an afternoon of vintage-inspired fun. Traffic and parking will be a challenge, therefore we recommend using the Galveston Island Trolley Bus. Seazatt View Condo and Useazatt View Condo are a short .2 mile walk to a bus stop located at 69th street and Seawall Boulevard. Copyright © 2019 Caszatt Condos On Galveston Island, TX. Powered by WordPress. Theme: Accelerate by ThemeGrill.